Those of you have been following us for a long time may remember this old favourite. Possessed was completely redesigned for our return, now ladies can get this shirt on a gorgeous scoop neck tee. 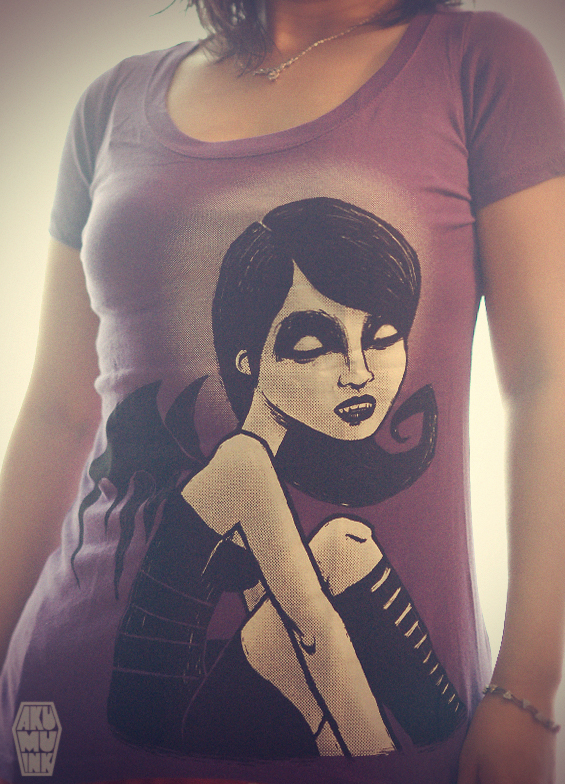 Here was the original design modeled by La Carmina back in 2009.